Jackie Pallo from Highbury in North London and he is a great professional wrestler from 1951-83 for the last 32 years when retired from the ring and his great battles against the infamous Mick McManus from Wembley Town Hall,London in April 1962 until September 1973 at The Royal Albert Hall London. Jackie appeared in The Avengers Episode Mandrake and he knocked out by Judo Expert Cathy Gale played by Honor Blackman since 1964 made by ABC Television(UK) on ITV Crime Series and he is the subject of This is Your Life Introduced by The late Eamonn Andrews on Wednesday April 18th 1973 for Thames Television and he made a great friendship with the late Kent Walton,The Famous Voice of Professional Wrestling on ITV's World of Sport for the last 33 years from 1955-88. 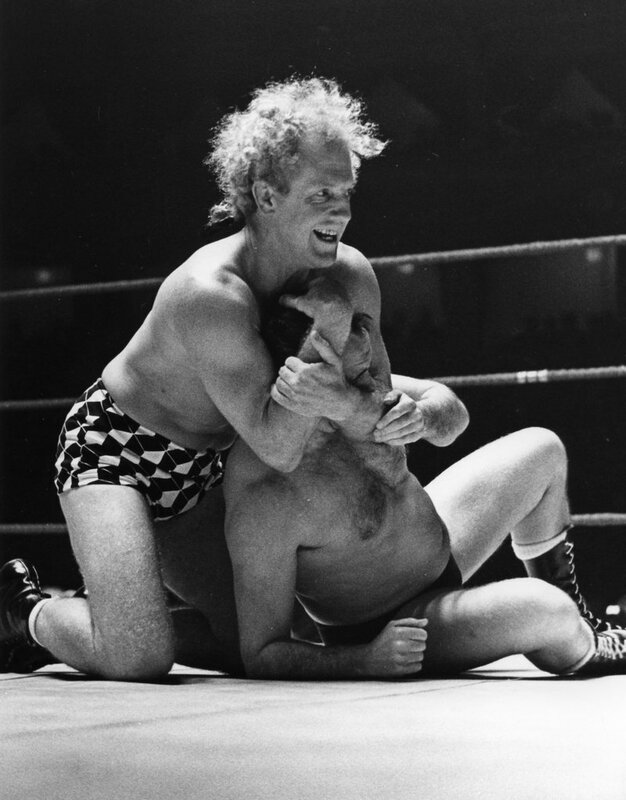 The Memories of The Famous Wrestler icon is The late Jackie Pallo.